Our approach is your path to health. New patient excited to get started? Conveniently located in Dupont Circle in Washington D.C, Earley Wellness Group is dedicated to providing only the highest level of service to our clients. I have nothing but wonderful things to say about Earley Wellness Group and especially with my acupuncturist Ashley Paraiso! I came in with some pretty serious lower back issues and pain. I've tried everything short of surgery to this point. Ashley took the time to talk with me and learn of my history and really made me feel like we had a partnership toward health. She is the consummate professional but is also exceedingly warm and welcoming and genuinely cares about my well-being. Acupuncture is a little intimidating, as I had never tried it before, but she made me feel comfortable to the point that I actually enjoy my visits with her. She's improving my health and wellness and we're having fun while doing it. What more can you ask for? She clearly knows her stuff and has earned my trust very quickly. I've had a number of sessions now and will absolutely continue. The office itself is clean and soothing, the online appointment tools are easy and useful, the location is central and fantastic, and they take a wide range of insurances. They make everything easy so that you can concentrate on your health. Earley Wellness Group comes with my highest recommendation, especially working with Ashley, who is a star! Don't hesitate, make an appointment! Ashley is my first acupuncturist and I couldn't be happier with her genuine attitude and effective treatments. I love her holistic approach and willingness to try new things. The office is a little oasis in the middle of the city. AND my insurance covers the treatments, which is awesome. For the past five months, I have been seeing Jan Goldman for acupuncture treatments for my vertigo and interstitial cystitis. Her caring and knowledgeable demeanor have impressed me from the start, and I felt like I could trust her with my care. I am very thankful that both conditions have improved remarkably --as well as me sleeping better, eating healthier and feeling less stressed. At my appointments, I always feel very listened to and Jan pays attention to all the details of our conversations. She asks me questions and often times I continue to ponder them after the session as they are so insightful. Jan displays a high level of professional, as well as a warm, kind manner. I really do feel like she is invested in my healing and providing me the best treatment I need each time. When I started acupuncture, I was focused on the vertigo and cystitis but now I have broadened my perspective to consider my overall wellness --and for leading me on that path, I thank Jan’s wisdom and commitment to healing. For me acupuncture has been one way to balance my energy to allow my body to work more efficiently – much like the gym, and a good night’s rest. I see Deb every few weeks for a 'tune-up' and the treatments always help me with whatever is bothering me at that moment. Whether I need an energy boast, stress reduction, or cold/flu recovery the treatments have really helped. I remember one year I had strange muscle twitches in my hand that wouldn’t go away for weeks and I came in and saw Deb for one treatment and the twitching disappeared. I have seen Ashley for pregnancy-related symptoms. She's a wonderful practitioner -- thoughtful, calm, serene, effective. She treats the "whole" person, not just the symptoms. She's a great listener with flexible, early morning hours. The office itself is a very soothing environment. I have taken more than one nap on the treatment table, and I always leave feeling refreshed and centered. My sessions really helped address pregnancy-related heartburn and insomnia. I'm a firm believe in a holistic approach to these things. Through Deb's skill and knowledge, I've come from being a bit stand-offish about acupuncture, to realizing how urgently I was needing to listen to the various parts of my body recite their "Declaration of Interdependence". Deb's acupucture work is more than just healing a problem here or there, it is about enabling your full personal health and radiance. So, stop, listen, focus, explore, heal, and really live. As a lawyer accustomed to dealing with facts and hard evidence, I came to Reiki with a certain degree of skepticism. But a string of personal challenges and a nagging sense that something was "off" in my life made me open to trying something new. I'm very glad I did. By unblocking and smoothing my energy flow, Reiki has helped me to become more grounded, focused and invigorated. Wendy has a superb technique, listening carefully to both my words and my body's non-verbal communications. She has helped me greatly and I recommend her without reservation! I turned to acupuncture after years of suffering from infertility. My husband and I had already gone through 3 failed hormone treatments and our fertility doctor had given up on us. I was a "bad statistic." My hopes were crushed and the sadness that followed started to affect every aspect of my life. It was then that I turned to acupuncture. A friend referred me to Deb. She had also gone to her practice for help with her fertility and had succeeded in getting pregnant. From our first meeting, I felt relieved. Deb was kind and understanding. She did not promise to get me pregnant, but reassured me that there was something I could do to improve my health and well being, and through that process also prepare my body and mind to "call my family," as Deb would put it. I understood that the process of healing went beyond focusing on one particular hormone level or blood test result. It required rebalancing my priorities and putting in perspective all the good things in life I could be thankful for. After only a few months of acupuncture, we conceived naturally a healthy baby girl. I continued with acupuncture through my first trimester and enjoyed an incredibly smooth pregnancy. My daughter is now 7 months old and the sunshine of our lives. I will forever be thankful. I was having a lot of trouble getting pregnant. Although I was seeing a western medicine fertility specialist, I felt that there was something missing from the treatment he prescribed. But the first time I met with Deb I began to feel better – more optimistic, more proactive, just healthier. I soon noticed a physical difference in my body, as well, as my blood flow increased and my energy returned. Three months after beginning treatment with Deb, I was pregnant. While the acupuncture might not have been the only reason that we were able to conceive, it was certainly an important mental and physical component of the solution. I went to see Wendy Taylor for acupuncture originally because I have pretty uncomfortable seasonal allergies and live in a place that has a lot of plants and trees to be allergic to. Because of another condition, I cannot take decongestants so needed another approach aside from medication. Besides, I find that allergy medication, whether over-the-counter or prescription have side effects, do not always work well, and are expensive. I have been seeing Wendy for a number of years, on a regular maintenance basis, every 4-6 weeks depending on the season - because allergies don't just go away! Since getting acupuncture with her, I rarely have any allergy symptoms - when I do they are mild. She also asks about and treats other health problems I may be having, be it a sinus headache, bad back, or stiff neck. In fact Wendy works holistically, so she considers my emotions, energy, diet, sleep, activity level, everything. Whatever is going on, she tries to support my systems and keep me balanced. I’ve seen Jan Hatfield-Goldman for a range of reasons, and I'm always amazed at the feeling of peace and calm it brings me. I first had a bout with anxiety, which Jan treated successfully - I was surprised that after even one session, I felt more centered and at ease. I also had Jan address a numbness in my right foot, which was much improved after one treatment. And lately, she's been giving me facial rejuvenation - what a delight! During the sessions, I feel a deep sense of relaxation, and when I leave after treatments, my color is remarkable, my skin glows, and I feel happy. Yes, happy! Jan's also been very instructive about things I can do at home to maximize the effects of these treatments. As a professional, I find her caring and capable, educational and concerned, and highly skilled in procedure and practical application. She also has a great capacity for listening, not only to what I say, but to what she senses might be a concern, and gently delivers questions to get more information and shape her treatment protocol. I feel safe and properly addressed in her care, and I always leave a calmer, better, more lighthearted "me" than when I arrived! I believe in the healing power of acupuncture. My work with Deb resulted in almost immediately relief of the chronic stress-induced shoulder and neck pain that I had lived with for years. Continued sessions brought balance to my digestive system and calmed the acid-reflux that I was battling on a daily basis. While western approaches to digestive problems seek only to address the symptoms by controlling acid production in the stomach, acupuncture herbs helped restore the overall health of my digestive system as a whole and allowed me to discard completely the antacids that had become part of my daily life. I’ve encouraged many friends to explore the healing benefits of acupuncture therapy. There is no question that Ashley is a gifted acupuncturist. She is a wonderful listener, inquiring about details of my life and progress made from session to session that give her the information she needs in order to determine where best to position the needles. I was able, through Ashley’s expertise, to avoid spinal surgery scheduled in early October for acute thigh and leg pain that I had been experiencing for nearly two years, for the pain had “miraculously” disappeared! I know that being her patient has allowed me to better understand myself, become a calmer, more self-aware person. I have had chronic back pain for a majority of my life and found acupuncture is my biggest relief. After visiting numerous acupuncturist I was introduced to Deb Early. Once I completed my first appointment I knew this is who I needed to work with in order to progress my health and explore holistic avenues. I have never met an acupuncturist who takes so much time and pleasure in really understanding their patient not just the problem. She did such a good job I have sent my entire family to her. I have been with her for two years now and have never felt better. 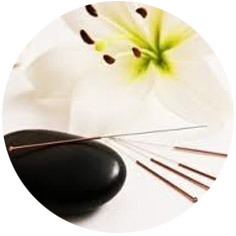 After hearing a friend praise the success she had with acupuncture, I decided to try it for my hot flashes which had been increasing and definitely affecting my sleep and work patterns. I was unable to reduce or eliminate the frequency and intensity of my hot flashes with over the counter treatments, and I didn’t want to go on hormone replacement therapy. After meeting with Deb a few times, my hot flashes significantly subsided and I was able to sleep through the night and perform at work. I highly recommend acupuncture for many ailments that are not treatable with traditional medicine. Deb has been a wonderful caregiver and supporter. Acupuncture is now a regular part of my life. I first began treatment with Deb Earley in early 2009. At the time I was in woeful condition, both mentally and physically -- suffering from stress, exhaustion, and chronic stomach problems. One year later I can say that though the path has not been quick or easy, I am significantly stronger -- and without the side-effects that so often accompany western medicine. Deb is a caring professional whose initial interview with a client covers substantial ground. Thereafter, she builds on her knowledge of the individual, taking time at each subsequent visit to acquaint herself with the latest challenges in the person's life. Using that data, plus her well-developed intuition, she can detect possible causes of recurring problems. Besides her array of treatments (acupuncture, moxabustion, and herbs), she offers supplementary suggestions on diet and relaxation techniques which can help hasten physical progress. Among Deb's strengths is a knowledge of Chinese herbal medicine which surpasses that of some Chinese physicians I have encountered. Whether one is suffering from gastritis, constipation, anxiety or oncoming flu, Deb can readily concont a formula which brings relief. Further, as noted above, these herbs generally do not result in the side effects so common to western medicine because the Chinese system foresees and adjusts for the body's often conflicting needs. One feature which distinguishes Chinese medicine is that because it acts at a subtle level, it tends to put the individual in touch with his or her own subtle-level problems -- often emotional -- which undermine health. This naturally leads the client to a deeper exploration of those lifestyle and relationship concerns needing to be brought into line with the efforts being made physically. In my own case, the attempt to regain physical health has led to an ongoing and complementary process of talking and breathing therapies. I have suffered from gastrointestinal issues since 2009 and the pain was unbearable at times and affected my ability to lead a consistently “normal” life. My co-workers and friends gave me a gift around the holidays to be used for acupuncture, as they felt it might be helpful to me. I was at first a bit skeptical, because I wasn't familiar with acupuncture, but I made the appointment to give it a try. I am sure glad that I did! Since seeing Jan on a regular basis, I have been a whole new person. My pain (while it isn't gone) has been very much diminished between flare-ups. Is has also reduced my gastrointestinal “accidents” almost completely. I also suffer from what are called optical migraines, and during one of my visits I was having a doozy of a headache (sick to my stomach, light sensitivity, etc.) and the procedure used during the visit was out of this world: my nausea left me and the headache subsided. Jan's manner is gentle and she explains everything in a way that makes it easy for me to understand. Her compassion is very sincere. I highly recommend Wendy Taylor. 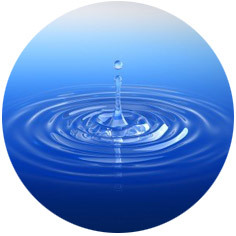 I contacted Wendy in 2012 for Reiki treatments. My lifestyle was hectic with constant international travel with a high pressure job. I needed a way to center myself and ground myself. I was also coming off an intense year of graduate school combined with full time work and also a difficult break up. I just needed to heal. Wendy's approach is very professional and reassuring. She is an excellent guide towards improving your overall health and for making time for that all important aspect of life we all put last on our list - self care. I have since recommended several colleagues to her who have received enormous benefits from the experience. Being new to Reiki, I was initially reserved and not sure if it was the best approach for me but it certainly was. I feel like a new person - completely revived and alive and taking life by the horns more so then I ever have. I have returned to my childhood love of swimming, have taken up horse back riding and flying and just feel completely alive and in love with life again. I came to Deb with insomnia, nausea, poor digestion, body aches, anxiety, early onset menopause and mild depression -- I had been diagnosed with an aggressive breast cancer and was in my second month of weekly chemotherapy infusion. I couldn't take it any more and needed help. I had never tried acupuncture before, but knew that I needed support if I was going to make it through the cancer treatments. Deb was so welcoming and calm, she reassured me and won my confidence. I still recall how thrilled I was after my first treatment -- to finally feel relief from the side-effects but also to have a renewed hope that I really was going to be ok. That was more than a year ago. Now I'm happy to report that I'm cancer-free! Even after the chemotherapy, surgery and radiation, I continue to see Deb regularly to help with some of the more long-term effects of the cancer treatments and also because I feel peace when I am in her care. Whether it's the Chinese herbs, the acupunture or her gift for listening and insightful chats -- Deb is a healer through and through. I feel immense gratitude for Deb's participation in my recovery, health and well being. If like me, you are going through cancer treatments -- or even if you're just looking for a significant boost in your journey of greater health -- I would highly recommend Deb Earley Acupuncture for you. I began acupuncture in April to combat the effects of chemotherapy and radiation for the treatment of breast cancer. Ashley thoroughly evaluates my physical and emotional needs to determine the best treatment plan for me. I always leave feeling better... much more relaxed and with a sense of peace that was not present when I arrived. She is an excellent practitioner and I highly recommend her to anyone interested in receiving acupuncture. I started seeing Deb in March 2009 for paralyzing and frequent migraine headaches. I had tried every other avenue of western medicine to no avail, and was desperate for even just a tiny bit of relief from my migraines. A friend recommended that I try acupuncture. I was hesitant at first because I'd never gone the "alternative medicine" route before, and was skeptical that acupuncture really worked. However, I did my research into acupuncturists, and Deb came highly recommended by a number of sources. Deb Early literally changed my life. Slowly but surely, I began to see a decrease in both the severity and frequency of my migraines, and today - less than a year later - my migraines no longer disrupt my life. Deb taught me techniques to use when I feel a migraine coming on that will stop it in its tracks, and also helped me clean up my diet so that my body could heal itself so that I'd have fewer migraines to begin with. I went from having nearly 15 migraines a month, to now only having 1 or 2, which I can control without the use of prescription medicine. I feel the healthiest I have even been in my life and I can't recommend Deb enough for affecting this positive change. I only wish I had gone to her sooner, so that I could have avoided all the years I suffered with debilitating migraine headaches. I initially came to Ashley when the stress of my life began to manifest itself in physical symptoms in a troubling, almost alarming way. I had begun to experience cardiac arrhythmia. As a result of Ashley's work I have experienced discernible improvements in various physical manifestations over these months – as on the day when I took my blood pressure [after treatment]… and found it had dropped some 30 to 40 points systolic and 20 points diastolic, when it had been running high enough to have been a major concern in the weeks prior to that session. Overall, I find the sessions, and our work together, to be a nurturing experience, and I come away feeling supported both physically and spiritually. And, the cardiac arrhythmia has abated quite a bit as well! I have a chronic condition called Interstitial Cystitis that, prior to my becoming pregnant, was mild and frequently in remission. But during my pregnancy this changed and I was suddenly in a great deal of discomfort and pain. I went to see Wendy during this time for acupuncture and Reiki treatments and it was AMAZING how much of a difference it made in my quality of life. Thanks to Wendy, I was able to enjoy parts of my pregnancy and her calm, gentle advice helped me to put everything in perspective. I now I have a very healthy baby boy (we swear it was from all the Reiki!) and am feeling fantastic. I would recommend Wendy Taylor to anyone considering acupuncture, she is a thorough and skilled practitioner.